News is surfacing that Jawbone, the once-dominant fitness wearable company, will soon go under or pivot to clinical devices. It’s not a new tale (we recently saw something similar with Pebble), but there’s still a lot we can learn from watching giants fall. Jawbone’s troubles began in late 2015. As Apple Watch shook off its early missteps with software and Fitbit ramped up its own efforts to dominate the wearables market, Jawbone limped out its Up 3 wearable. A fashion-first accessory, it failed to impress reviewers, who were now used to getting more than wonky step counts from wearables. The faithful latched onto Jawbone’s latest, which it positioned as a page turned for the company (don’t call it a comeback!). Instead, it was Jawbone’s worst effort to-date, and the subsequent fallout has been a quiet storm. TechCrunch reports that Jawbone is seeking additional funding in a pivot to clinical wearables, but that’s unconfirmed. Meanwhile, hordes of users are left in the lurch by Jawbone support; its website no longer offers support forums, and its social media pages have gone untouched for months. Jawbone is either in the midst of another transition, or going under. Hey, it happens – typically it’s the startups that stumble, but it’s possible for any company at any stage to have problems. Here’s what we can glean from Jawbone and the similar mistakes of others. If you have customers, supporting them is an obligation. They bought your product or service, and you should at least see them through any problems during a warranty period. In Jawbone’s case, users with faulty hardware were ignored. Something similar happened when Fitbit bought Pebble; warranties were basically voided for Pebble devices, and the company couldn’t say if it would ever deliver a meaningful software update. This might be the tightest rope to walk, but one of the more critical. Even when things are down, being open and honest is crucial. It doesn’t mean you need to email users and tell them your burn rate is worse than you thought, but don’t blindside them with a shutdown. Newton, an email client for macOS and iOS, is a prime example. It’s a sensational service, but a recent re-branding brought with it a $50/year subscription fee. This new monetization scheme wasn’t discussed or offered as an option; existing users were now asked to pay for email. That sort of thing is a hard pill to swallow, especially when you’re forcefully rebranding and demanding money. A smarter move may have been to gradually depreciate CloudMagic (the name of the brand that Newton replaced) and offer Newton as the new path forward. Users can always understand the “we need to make money” angle, but a hard move in that direction may not be in your best interest, which has shown itself in Newton’s undeserved three-star ranking in the App Store. Once a company crosses over via an acquisition or pivots to a new market, it can’t just forget the past. As we see with Pebble and Jawbone, existing customers bought into support and company culture as much as they did hardware or services. Sometimes, the ‘out’ is just giving things away. When Google acquires a company, we typically see that product or service become free to use as Google figures out how to weave it into its own offerings. Some choose to release software to the open-source community, something we see regularly from Facebook as it creates tools internally it wants community input on. If you’ve asked developers to create experiences for your app or service, loop them in early on any potential problems. A customer who finds out you’re not going to support their favorite service or device will be saddened, but a developer may have a good bit of their workflow or income tied into your environment. Jawbone’s developer portal is still up; another indicator it’s just plain ignoring its business model. Another good example is Parse, which Facebook shut down in a move that surprised many. While nobody expected Parse to be discontinued, Facebook gave developers a year-long lead to move their data elsewhere. If those developers were interested in managing their own servers, Parse was made available in the open-source community. 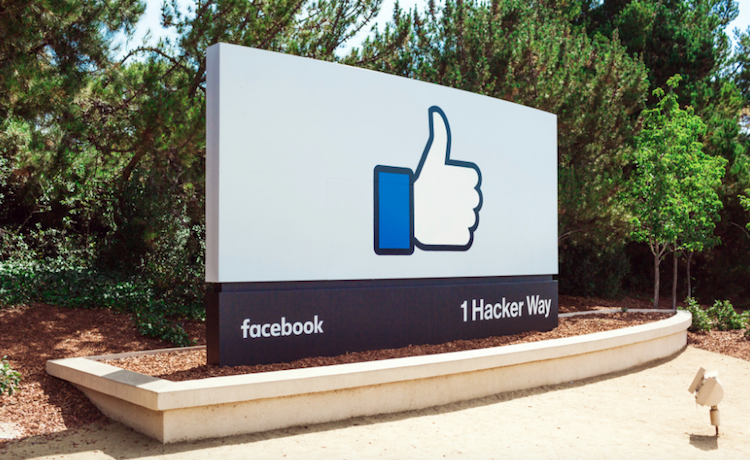 Parse’s shut-down was shocking, but Facebook handled it with a measure of grace. A customer likely has different expectations than an entrepreneur or CEO. As someone running a company, you’re trying to make money; and meanwhile, customers probably want a laundry list of features for free. Even though it’s sometimes difficult, try to imagine life as a user of your product. If you were in their position, would you really pay for that new feature? Would you be okay with finding out the wearable you bought five months ago was no longer being supported and the warranty was voided? More to the point, if a customer can buy your device right now, is it fair to ignore them if it breaks two weeks later? While canning support might be the smartest financial move, it’s not what’s best for the customer. It may seem like Jawbone is just pivoting towards medical-grade devices, but a customer is a customer. If the apparent refresh holds true, new customers – even enterprise – might look at the company’s failure in its dying days as a consumer-facing entity and balk at doing business with Jawbone. Similarly, we wonder how many fervent Pebble fans are now put off by Fitbit declining to offer ongoing support. It could have been as simple as offering deep discounts on Fitbit hardware if a Pebble smartwatch fails in the warranty period. Instead, Pebble’s fanbase was left in the cold. Being a leader means wearing many different hats. Your ego needs to be on display as you saunter into a meeting with venture capitalists to encourage them to give you all their money, but kept under wraps most other times. A leader who has shed much of his ego about the product is Twitter CEO Jack Dorsey, who often accepts input via Twitter about ways to improve the product. Dorsey even solicits feedback, which probably elicits as much headache as value for him. Silence is often misconstrued as arrogance. Jawbone seems unconcerned with its users’ issues, which makes it seem as though it is purposefully ignoring them. There are likely a variety of reasons it’s shuttered support and yanked most of its products from store shelves, but ghosting users who need your assistance just looks bad. Should it all fall down, be open about your failure. Don’t hide behind your bruised ego. In an interview with Backchannel, Pebble founder and CEO Eric Migicovsky laid out exactly what went wrong, and why the company sought an acquisition. He dismissed assumptions it was a money grab for him, and openly reflected on Pebble’s story arc. It wasn’t damage control so much as it was offering a behind-the-scenes look at the company, but it’s also on record as a statement of fact from one of the only people who can offer that sort of insight. It might be more comfortable to ignore bad things happening in your industry, but examining the goings-on are often helpful. Not only should you observe what happens, but watch users and customers react to news. It might just help you avoid being in the same position down the line. The Most In-Demand Languages of 2017? Is Swift Reducing Demand for Objective-C?